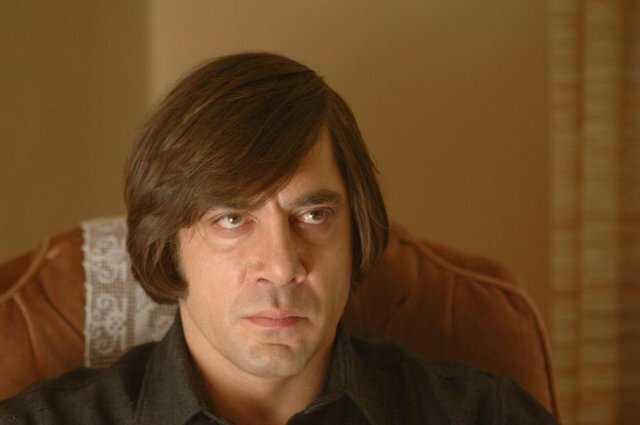 Worst Best Picture: Is No Country for Old Men Better or Worse Than Crash? In “Worst Best Picture” we search every single Best Picture Oscar winner of all time from 1927 to present to uncover the worst of them all. Conventional wisdom says that 2005’s winner Crash is the worst winner in history. We won’t stop until we’ve tested every last one. Read the the first, our review of Crash, here. All posts should be considered to have a blanket “spoiler alert” on them. Today’s installment is the 2007 winner No Country for Old Men. Is it better than Crash? No Country for Old Men is about having agency taken away from you and what you do without it. Javier Bardem earned the Best Supporting Actor Oscar in it for playing a madman who was more force of nature than person. Bardem’s character is chilling and is definitely the best part of the movie, but he’s also a representation of the movie’s “point.” Death is coming for all of us, and we’re probably not going to get much of a say in the matter when it comes right down to it. No Country wants you to feel hopeless. It’s all about drug money and hired killers, but it’s really about just moving. Tommy Lee Jones wants to clean up the desert but knows that it’s not so much a goal as it is just some loose hope. He knows he can’t actually stop a killer, but he also knows that as America’s favorite grizzled sheriff, he has to try. It’s difficult to explain No Country, but the best place to start is with the year that it won. 2007 is the year that Lars and the Real Girl, Ratatouille, and Juno all came out. It’s an odd year full of some interesting experiences, but 2007 boils down to one question: No Country for Old Men or There Will Be Blood? They are tied together because they’re both dark and loud and intense. Even though they aren’t necessarily similar in a lot of ways, people connect them to the degree that a lot of people are never sure which of the two won this Oscar. That’s sacrilege to No Country fans — it’s arguable that there’s no Best Picture winner that’s as revered in the last 20 years — but you need to deal with one when you deal with the other. There Will Be Blood is the story of an oil tycoon trying to increase his wealth and influence. Everyone always calls it “intense” and that is the absolute only word for it. I rewatched it for the first time in a few years recently and I felt nervous the entire time. It is a masterstroke of a movie but it will cost you days off your life. No Country is less about trying to hit you with a sledgehammer over and over and more about making you wonder if anyone in the movie ever had any other choice. It’s tough to spoil and I’ll try my best not to, but No Country sees a lot of bad things happen to some good people. Javier Bardem’s madman offers the gas station guy a coin flip for his life. You don’t need the surrounding elements of the movie. You don’t need the thread that goes through everything, because all you need to do is watch Javier Bardem just be cold as all hell. That’s essentially the entire movie. Javier Bardem shows up and ruins someone’s day. You don’t want to run into that bowl cut. Whenever I talk about No Country I am concerned that I am shortchanging it. I don’t like it as much as There Will Be Blood but I don’t think it ever had a chance. Daniel Day-Lewis gives what may be the best performance of my lifetime. It’s hard to compare anything to it. He makes you afraid, not in the way you’re afraid of a person with a gun (and a coin, in this case) but in the way that you are afraid that there’s too much Daniel Day-Lewis in you. You’re worried that you are the monster, and if that’s true then it’s not about evolution. It’s about inevitability. No Country deals with that inevitability. If you find a bag of money then you probably are already dead. It doesn’t matter if you take it or not, so you may as well take it. The movie wants us to consider if our choices matter or if we’re just living out a story that’s already told for us. That can be a bit of a drag to consider, and No Country is a much sadder movie in that light than even all the murderin’ makes it seem. Then, after forcing the audience to consider everything, it blinks out. The end is abrupt, maybe more abrupt than any ending I can come up with. All of the loose ends are tied and everything that needs to happen has happened, but it still ends almost mid-sentence. I don’t like it, myself, but I get what they’re doing. I like the idea of thinking about life as a play that we’re acting in rather than a series of events that we drive and control, but I don’t need the ending here. Maybe that’s because the ending isn’t a literal death but a death of idea, and no one likes to watch an idea die. Or maybe it’s because it’s just not my kind of ending. People will talk about “what it means” or anything ambiguous forever. I will say that No Country always makes me think about its ending, even if I kinda hate it. The opposite of love is not hate but indifference, and I am definitely not indifferent to this movie. The Best Part: Javier Bardem, who blows the doors off every scene he’s in. His delivery of “friendo” alone is chilling, and he does a hellva lot more than talk in this movie. The Worst Part: Ending. It’s an important way to end, but there’s a really fantastic scene with Tommy Lee Jones about 10 minutes before the ending. I like that one fine. It’s not a complaint about quality so much as my disagreement with it, I suppose. Is It Better or Worse than Crash? Crash is like No Country for Old Men because it is also the story of how coincidence drives interesting run-ins. No Country wraps coincidence in a larger question about if actions and intentions matter. Crash wraps them in a scene where a guy gets into an armed standoff with the cops because he feels like he’s been disrespected at home. The difference (other than the obvious one) is that No Country believes something, even though that something is nothing at all. Crash doesn’t even believe in nothing.